Exercise: When it comes down to health and wellness, exercise is one of the most important things you can do. Through regular exercise, you can improve numerous aspects of your health that will not only help you feel younger but also look younger as well. Through physical activities such as walking, jogging, or even through more physical hobbies like gardening, you will feel more energetic, you will be stronger, and this can also help you feel happier. 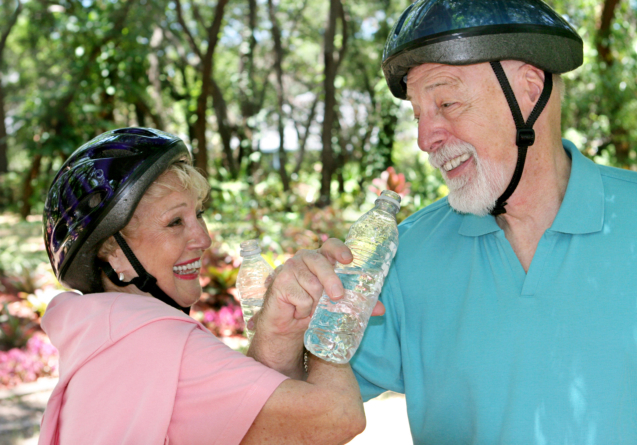 Nutrition: Another important aspect of health and wellness for senior citizens is nutrition. A healthy diet is crucial because our food impacts every aspect of our health, regardless if it is healthy or not. So by ensuring you are including healthier alternatives in your diet, you can really enhance your health. A better diet will help you maintain a healthy weight, your immune system will experience a boost, you can improve your mental health, you will have more energy, and you will be more eager to tackle each and every day. Hobbies: Hobbies can also improve health and wellness. You may think maintaining a hobby isn’t important but it promotes the reduction of stress and making life more fun and satisfying. This will make you feel happier and help you maintain a more positive outlook. This alone has numerous health benefits. The best part about hobbies is that you can do just about anything you want or enjoy from gardening to fishing. At an advanced age, we must pay more close attention to the condition of our health so we can continue enjoying life to the fullest and through our personalized support, we can help you do exactly that. This entry was posted in Health Care and tagged Companionship, Home Health, Home Health Care, In-Home Care, Personal Care. Bookmark the permalink.